Located in Yiwu, this hotel is 1.8 mi (3 km) from Xiuhu Park and within 6 mi (10 km) of International Trade City and Meihu Exhibition Centre. Yiwu Futian Wetland Park is 6.2 mi (10 km) away. 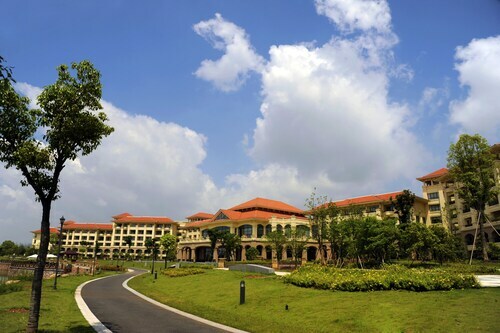 This family-friendly Jinhua hotel is located on a lake, 1.7 mi (2.7 km) from Xiuhu Park, and within 6 mi (10 km) of International Trade City and Meihu Exhibition Centre. Yiwu Futian Wetland Park is 6.6 mi (10.6 km) away. 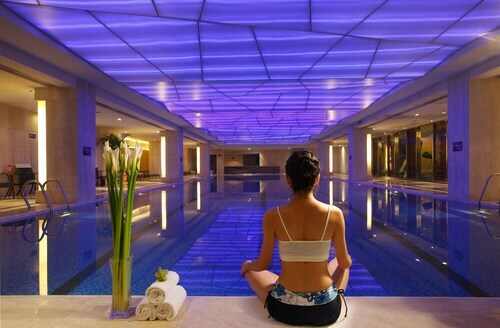 This family-friendly Jinhua hotel is located on the Strip, within 3 mi (5 km) of Xiuhu Park and Meihu Exhibition Centre. International Trade City and Yiwu Futian Wetland Park are also within 6 mi (10 km). 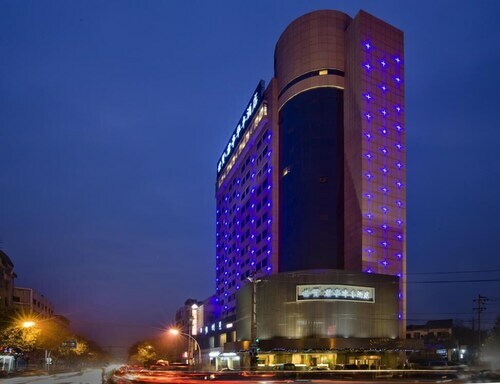 Located in Yiwu, this hotel is within 2 mi (3 km) of Meihu Exhibition Centre, Xiuhu Park, and International Trade City. Yiwu Futian Wetland Park is 3 mi (4.8 km) away. 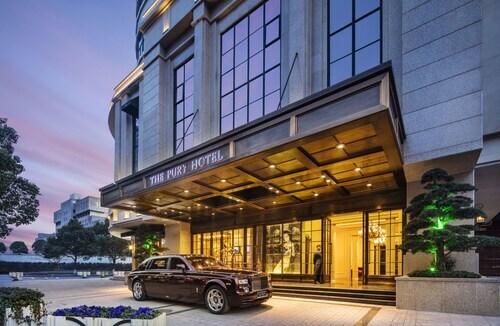 Located in Yiwu, this luxury hotel is 0.4 mi (0.6 km) from Xiuhu Park and within 3 mi (5 km) of Meihu Exhibition Centre and International Trade City. Yiwu Futian Wetland Park is 4.7 mi (7.6 km) away. 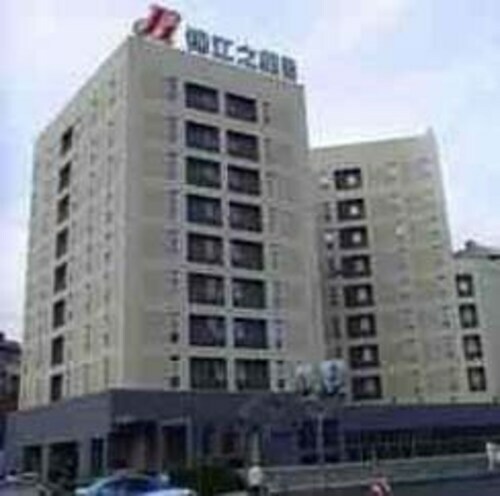 Located in Yiwu, this hotel is 0.9 mi (1.4 km) from Xiuhu Park and 3 mi (4.8 km) from Meihu Exhibition Centre. 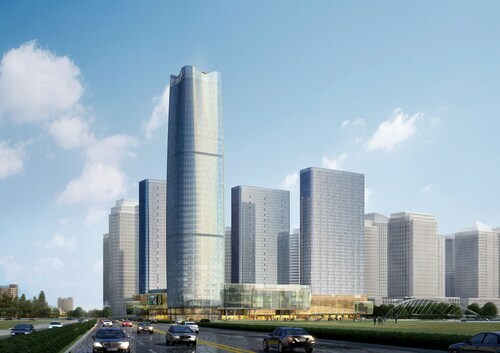 International Trade City and Yiwu Futian Wetland Park are also within 6 mi (10 km). 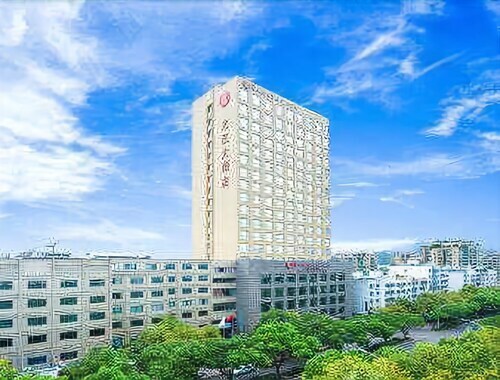 Located in Yiwu, this hotel is 3.1 mi (4.9 km) from Xiuhu Park and within 9 mi (15 km) of Meihu Exhibition Centre and International Trade City. Yiwu Futian Wetland Park is 7.1 mi (11.4 km) away.